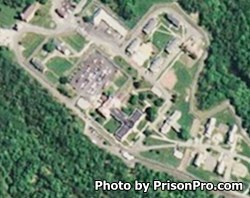 Hudson Correctional Facility is located in Columbia County New York. It is a medium custody facility that houses adult males. The total capacity of Hudson Correctional Facility is 402 inmates. This facility has a 40 bed re-entry unit, which is responsible for preparing inmates for their upcoming release date. Offenders are provided a chance to acquire new job skills and form good work habits by utilizing the Industrial Training Program offered through the Correctional Industries. Hudson Correctional Facility offers additional vocational programs in horticulture, business, and small engine repair. Offenders can receive substance abuse and alcohol addiction treatment. Visiting is from 9am-3pm on Saturdays, Sundays and Holidays. Processing of visitors ends at 2:30pm, you must arrive prior to this time or you will not be admitted to visitation. State recognized Holidays include Martin Luther King, Jr. Day, President's Day, Memorial Day, Independence Day, Labor Day, Columbus Day, Veteran's Day, Thanksgiving, Christmas, and New Year's Day. Visitation is limited to four visitors, children under two do not count as a visitor.